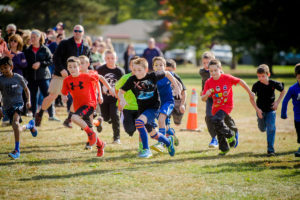 Students running in the 2016 Green Meadow Apple Race (courtesy Hitlin Photography). Green Meadow’s Apple Race is scheduled for Thursday, October 12 at the field behind school. Awards will be given out immediately after each race and every student will receive an apple.